NEW YORK (September 18, 2017) - Today, XPRIZE, the global leader in designing and operating incentive competitions to solve humanity’s grand challenges, announced the five finalists advancing in the $15M Global Learning XPRIZE and awarded each finalist a $1M milestone prize. Revealed at this year’s Social Good Summit held during the United Nations General Assembly week, XPRIZE awarded each finalist for the open source, cutting-edge learning software they have developed for the competition, which challenges innovators around the world to create scalable solutions that will enable children to teach themselves basic reading, writing and arithmetic within 15 months. The five finalist teams will begin field testing their education technology solutions this November in Tanzania. CCI (New York, United States) is developing structured and sequential instructional programs, in addition to a platform seeking to enable non-coders to develop engaging learning content in any language or subject area. Chimple (Bangalore, India) is developing a learning platform aimed at enabling children to learn reading, writing and mathematics on a tablet through more than 60 explorative games and 70 different stories. Kitkit School (Berkeley, United States) is developing a learning program with a game-based core and flexible learning architecture aimed at helping children independently learn, irrespective of their knowledge, skill, and environment. onebillion (UK/Malawi/Tanzania) is merging numeracy content with new literacy material to offer directed learning and creative activities alongside continuous monitoring to respond to different children’s needs. RoboTutor (Pittsburgh, United States) is leveraging Carnegie Mellon's research in reading and math tutors, speech recognition and synthesis, machine learning, educational data mining, cognitive psychology, and human-computer interaction. 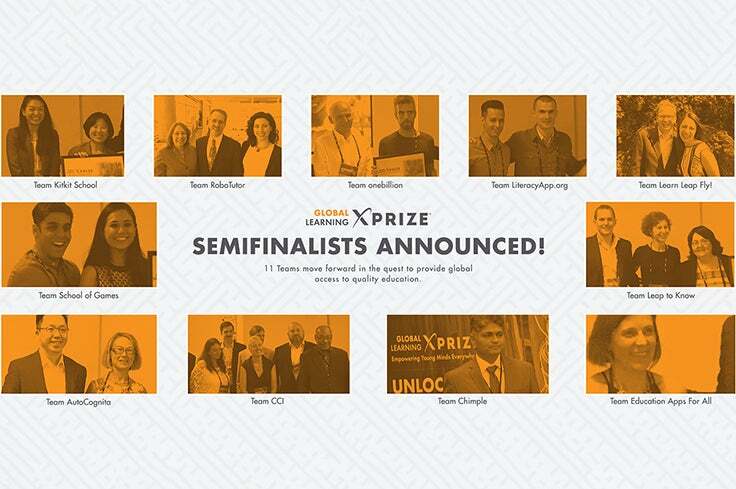 To field-test the five finalists’ solutions, the Global Learning XPRIZE partnered with the United Nations’ Educational, Scientific and Cultural Organization (UNESCO), the World Food Programme (WFP), and the Government of Tanzania. 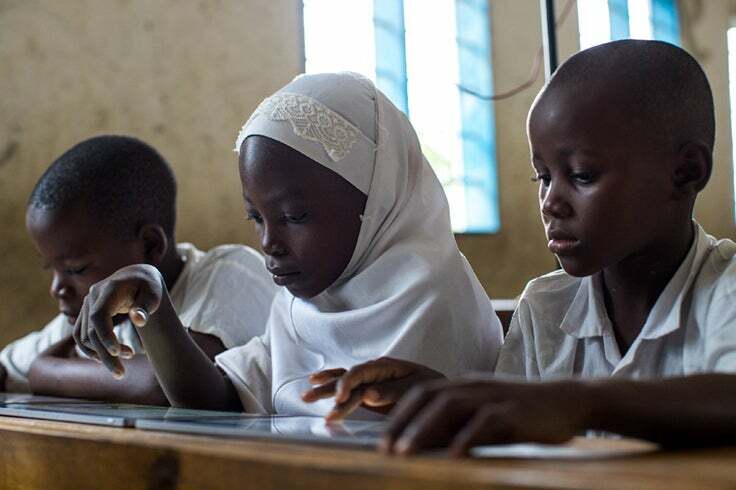 Approximately 4,000 children in 150 villages in the Tanga region of Tanzania will use 8,000 Pixel C tablets donated by Google to test the top software solutions for approximately 15 months. At the end of the field testing phase, the team whose solution enables the greatest proficiency gains in reading, writing and arithmetic will receive the Grand Prize of $10 million, to be announced in April 2019. Each of the five finalists will be required to open source both their code and their content which will be free and available for anyone to build on. An estimated 250 million children around the world cannot read, write, or demonstrate basic arithmetic skills. UNESCO estimates that the world will need 1.6 million more teachers globally, a number set to double by 2030. 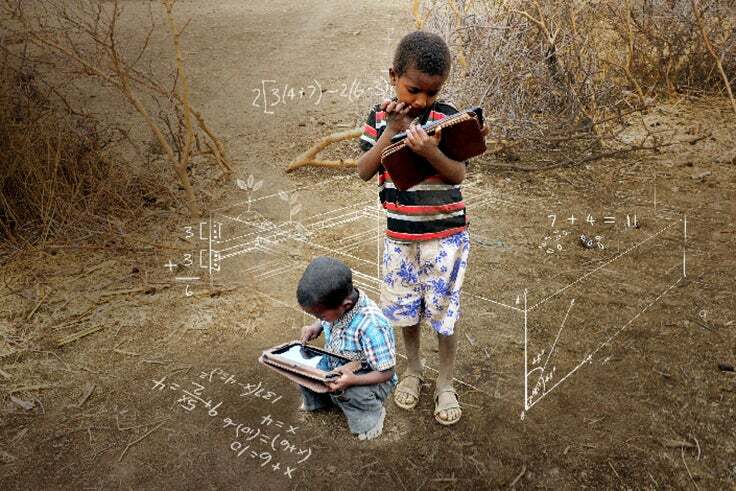 The Global Learning XPRIZE will help prove that with the right resources, children can teach themselves to read, write and do arithmetic. By ensuring each finalists’ solutions are open source, XPRIZE also aims to proliferate solutions worldwide at the intersection of technology and learning. For more information about the competition structure, important dates, and the competing teams please visit learning.xprize.org. XPRIZE, a 501(c)(3) nonprofit, is the global leader in designing and implementing innovative competition models to solve the world’s grandest challenges. XPRIZE utilizes a unique combination of gamification, crowd-sourcing, incentive prize theory, and exponential technologies as a formula to make 10x (vs. 10%) impact in the grand challenge domains facing our world. XPRIZE’s philosophy is that—under the right circumstances— igniting rapid experimentation from a variety of diverse lenses is the most efficient and effective method to driving exponential impact and solutions to grand challenges. Active competitions include the $30M Google Lunar XPRIZE, the $20M NRG COSIA Carbon XPRIZE, the $15M Global Learning XPRIZE, the $7M Shell Ocean Discovery XPRIZE, the $7M Barbara Bush Foundation Adult Literacy XPRIZE, the $5M IBM Watson AI XPRIZE, the $1.75M Water Abundance XPRIZE and the $1M Anu and Naveen Jain Women’s Safety XPRIZE. For more information, visit www.xprize.org.